^ Samofalova, Olga (2 June 2014). 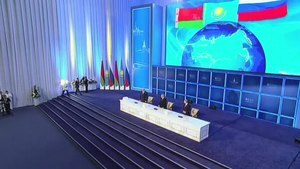 "Historic agreement makes Eurasian Union a reality". Russia Beyond the Headlines. Retrieved 4 September 2014. ^ "Egypt to join Russia-led Eurasian free trade zone"